Shirt in an airy weave with a turn-down collar and French front. 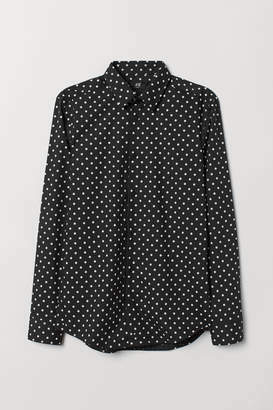 Long sleeves with adjustable buttoning at the cuffs, a yoke at the back and a rounded hem. Slim fit with narrow shoulders and a tapered waist for a fitted silhouette.